Deutsche Bank is taking a stand against North Carolina's "anti-LGBT" law. The German bank announced on Tuesday that it will halt a plan to bring 250 new jobs to its location in Cary, North Carolina. The move is a response to a state law, passed in March, that prevents cities from banning the discrimination of LGBT individuals. It also requires students in state schools to use the bathroom that corresponds with the gender recorded on their birth certificates. 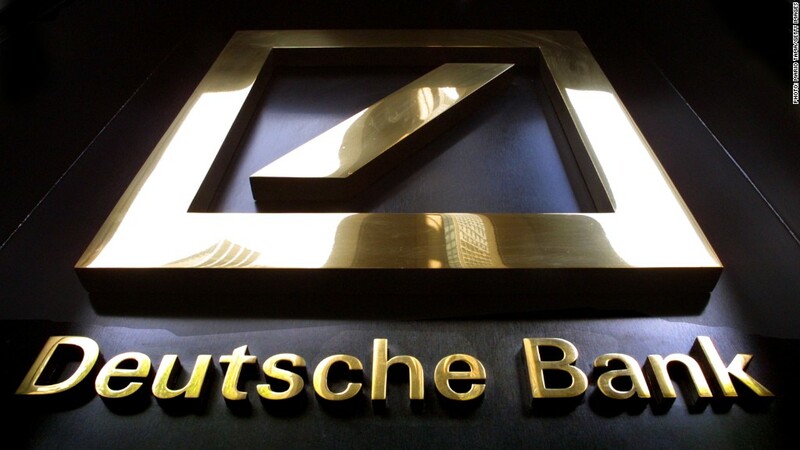 Deutsche Bank (DB) announced the planned expansion in September and said the new jobs would be added by 2017. Its site in North Carolina currently employs about 900 people. John Cryan, the bank's co-CEO, said "we take our commitment to building inclusive work environments seriously" and "very much hope that we can revisit our plans to grow this location in the near future." Bank of America (BAC), which is headquartered in North Carolina, did not respond to requests for comment about Deutsche Bank's decision. However, the company has previously said it supports "public policies that support non-discrimination" and that it's committed to supporting "LGBT employees through progressive workplace policies and practices." Deutsche Bank is the latest entity to take a stand against the bill. Last week, PayPal abandoned its plans to open a new operations center in Charlotte, costing the state 400 jobs. The NBA has threatened to host the 2017 All-Star game elsewhere and Bruce Springsteen recently canceled a concert in the state in "solidarity" with people protesting the law.